05 Nov 2018 – Assoc. Prof. Dr. Mohd. Ambri Mohamed has benn appointed as Deputy Director, IMEN for 3 years from 2018 to 2021 to replace Assoc. 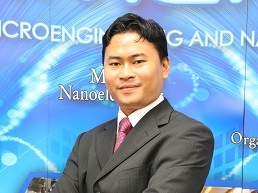 Prof. Dr. Azrul Azlan Hamzah who was appointed as the new IMEN’s director previously. All IMEN staffs congratulate Assoc. Prof. Dr. Mohd. Ambri Mohamed for this new position.